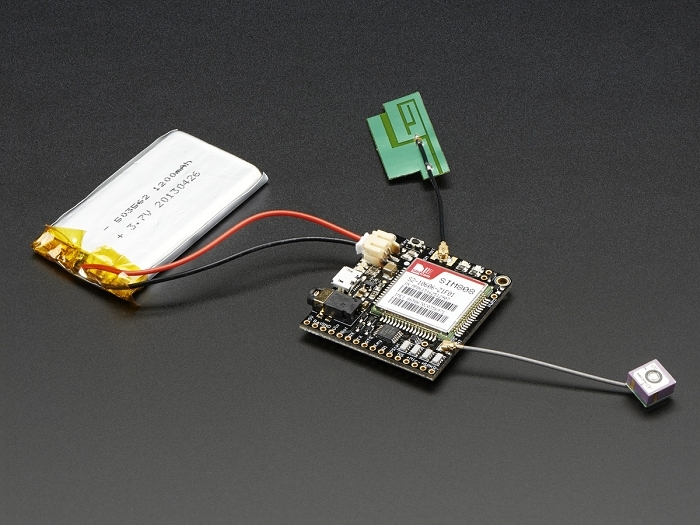 Cellular + GPS tracking, all in one? Oh yes! 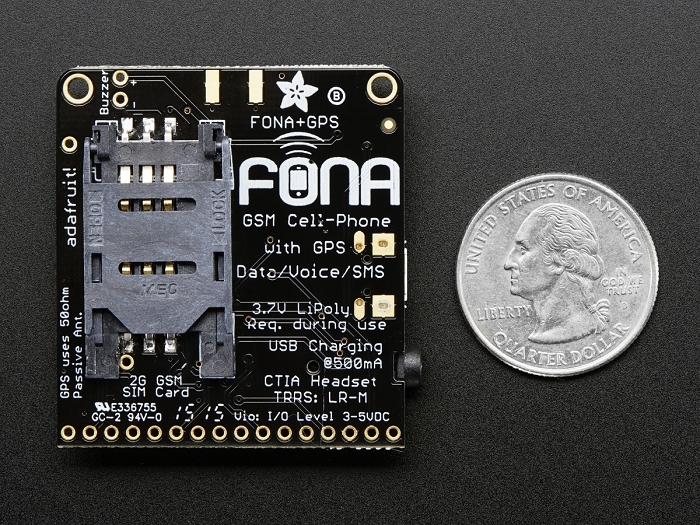 Introducing Adafruit FONA 808 Mini GSM + GPS, an all-in-one cellular phone module with that lets you add location-tracking, voice, text, SMS and data to your project in an adorable little package. 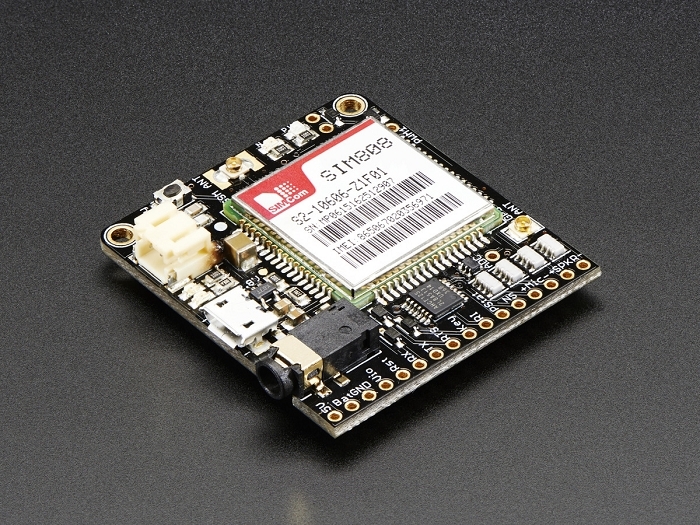 This module measures only 1.75"x1.6" but packs a surprising amount of technology into its little frame. 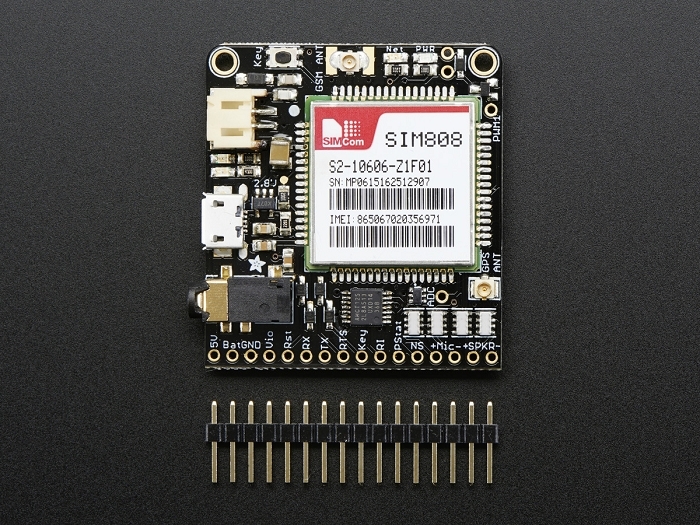 At the heart is a powerfull GSM cellular module (we use the latest SIM808) with integrated GPS. This module can do just about everything.